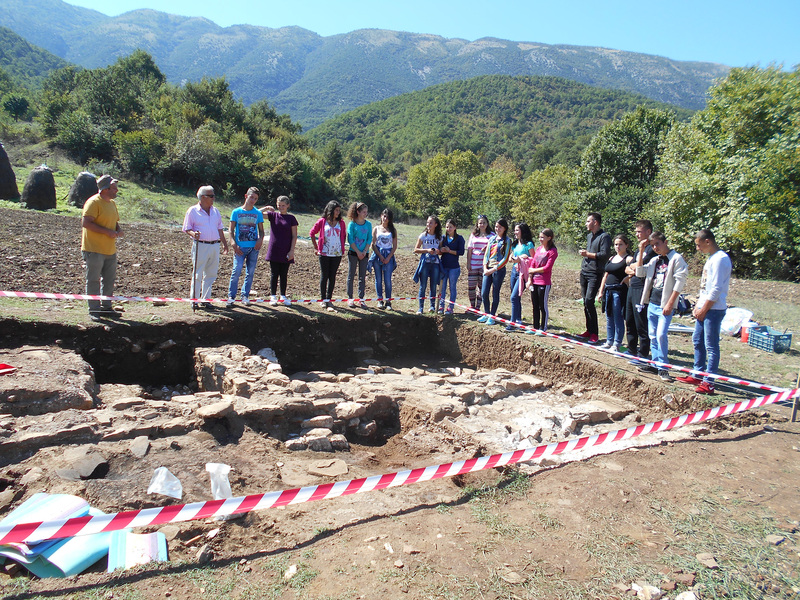 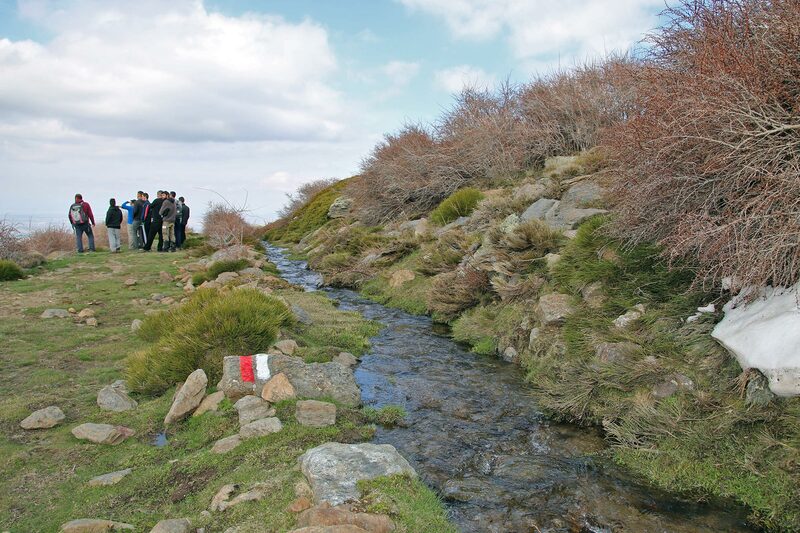 The project incorporates the development of cultural routes in the four areas of study, as a strategic activity to combine strategies to protect local cultural heritage, enhance social awareness and have a positive impact on the social and economical tissues and identify ecosystem management strategies that prevent environmental degradation. 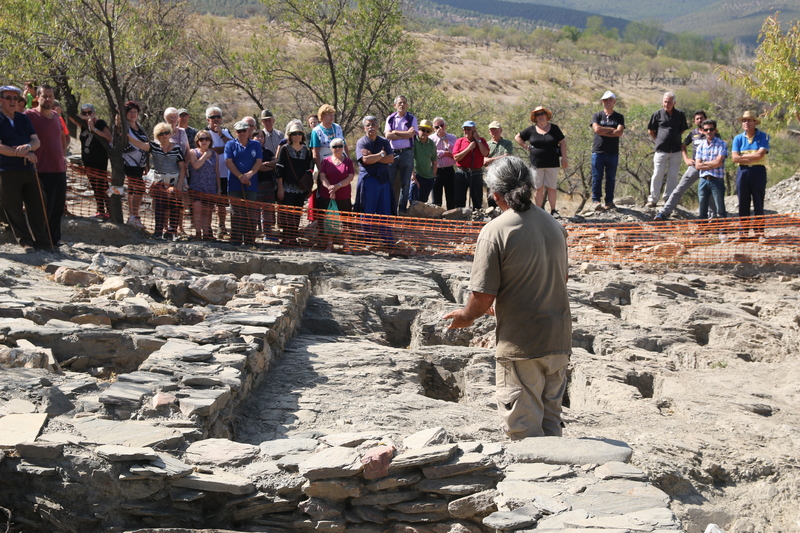 The following Cultural Routes have the goal to build capacity for local communities and stakeholders, defining different possibilities that could be attractive for them. 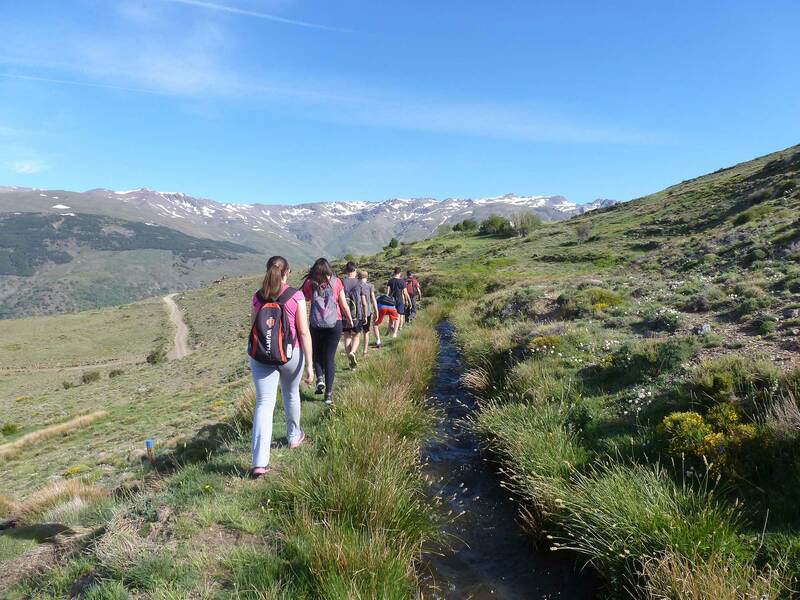 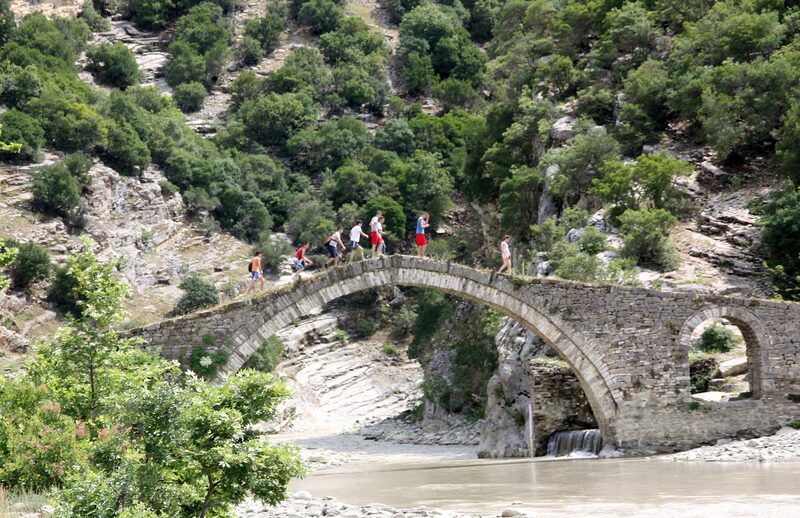 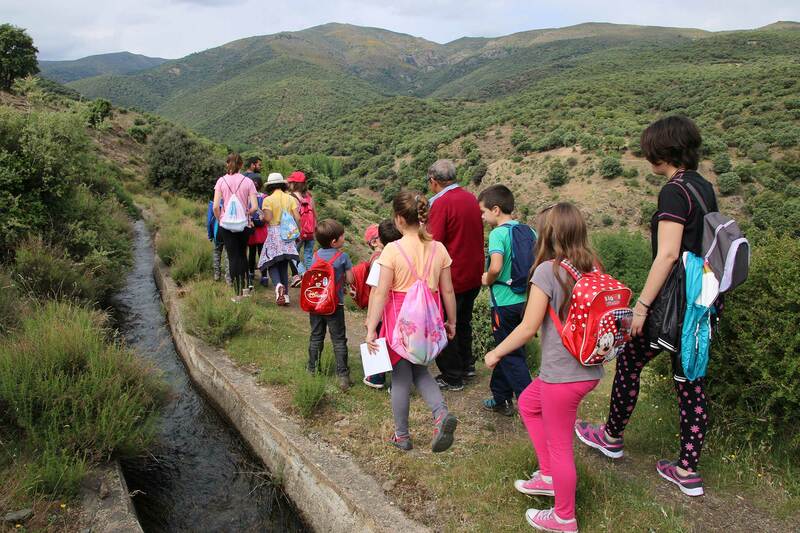 Local and regional governments, National Parks and Agencies of Natural protected areas, Cultural and Environmental Associations, local schools and local residents have been already involved in the processes of planning and tailoring most of the routes presented here. 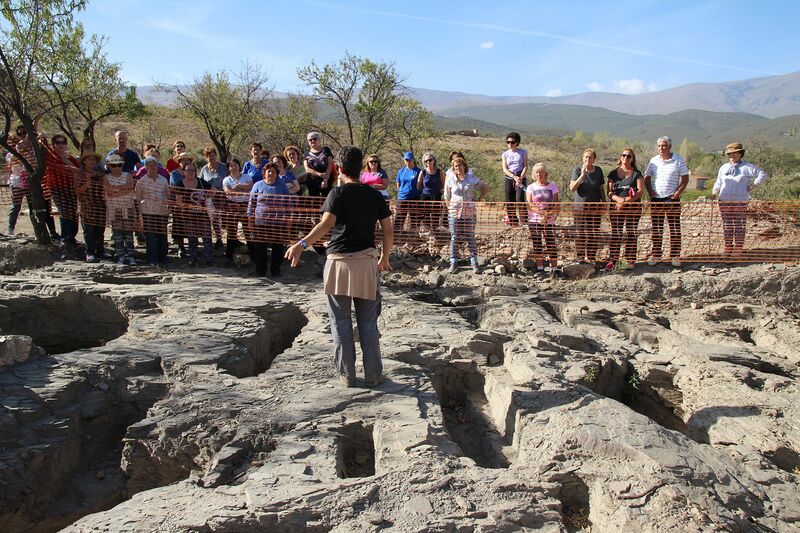 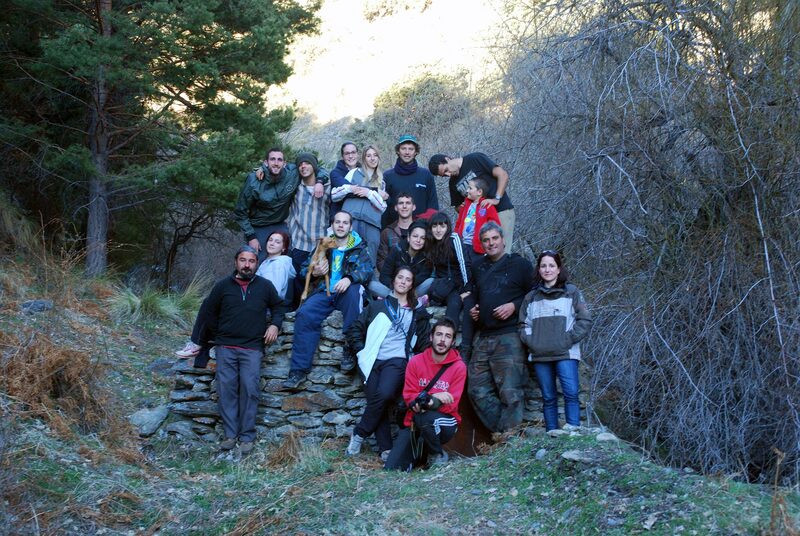 UGR organise 3 guided tours to the archaeological excavation of "Pago del Jarafí" (Lanteira) with around 170 participants. 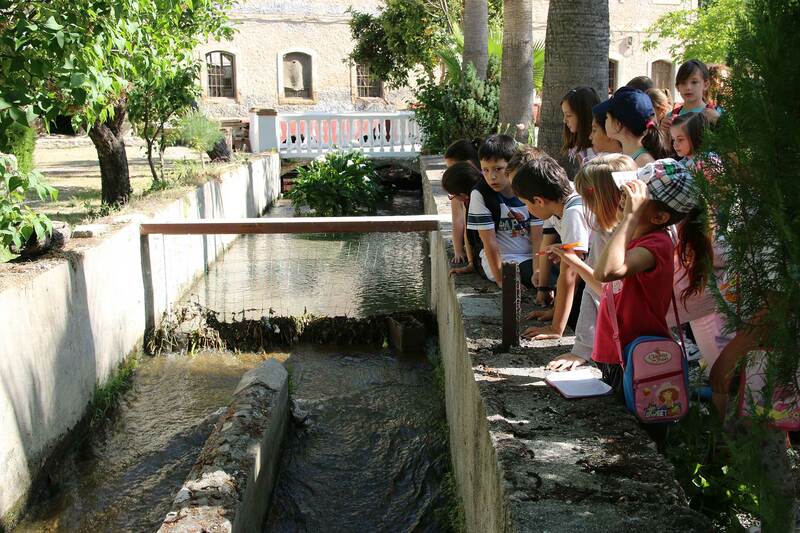 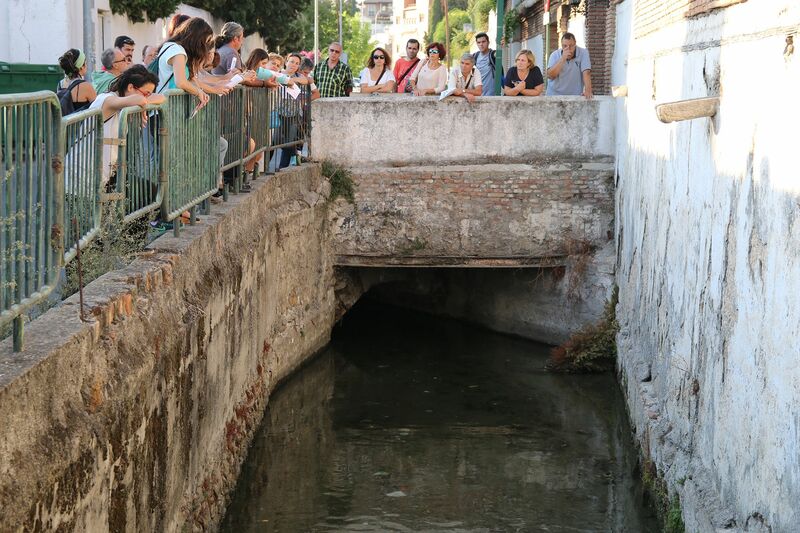 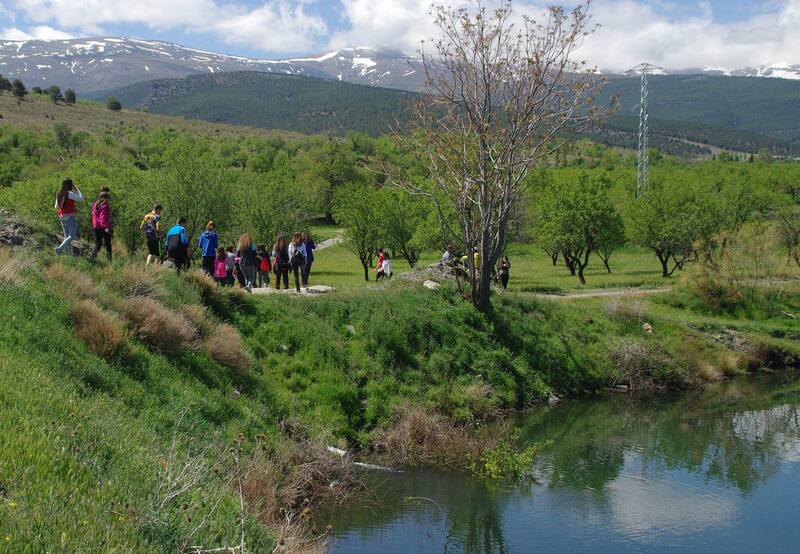 Guided route through the medieval irrigation channel Acequia Gorda del rio Genil in Granada. 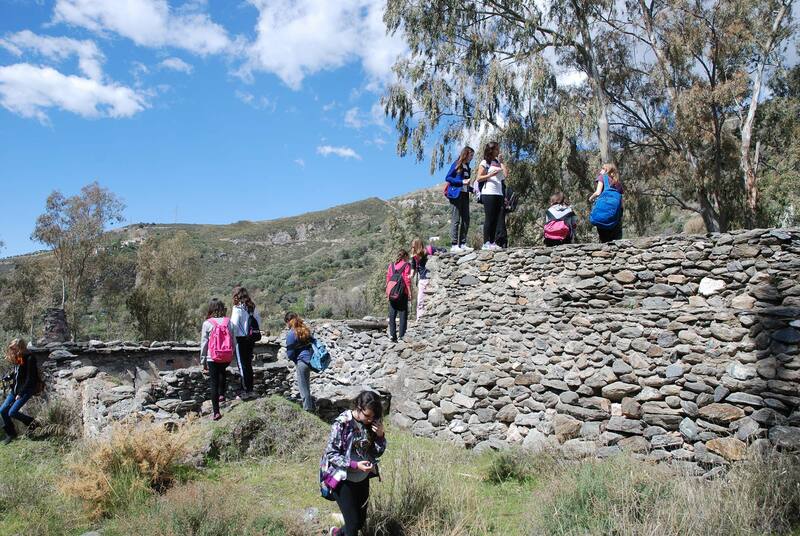 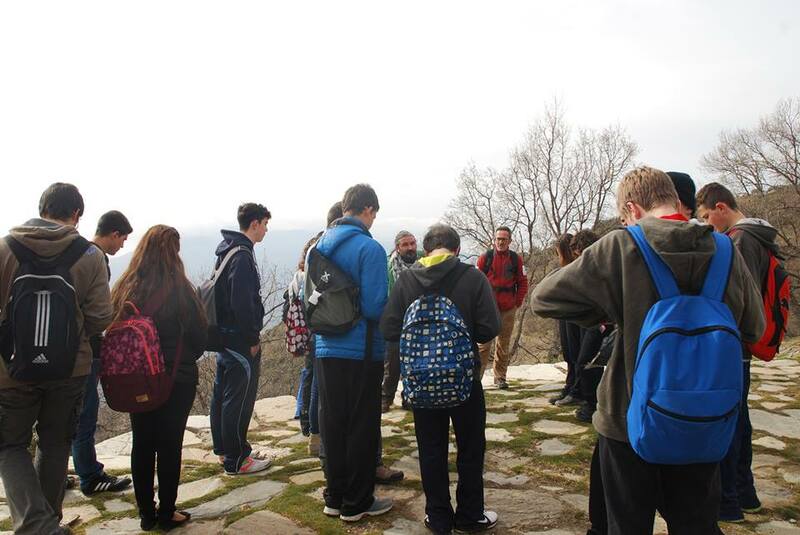 “Meleq Gostnishti” elementary school students, a guided visit and a lesson about archaeology in the site of Magjerice. 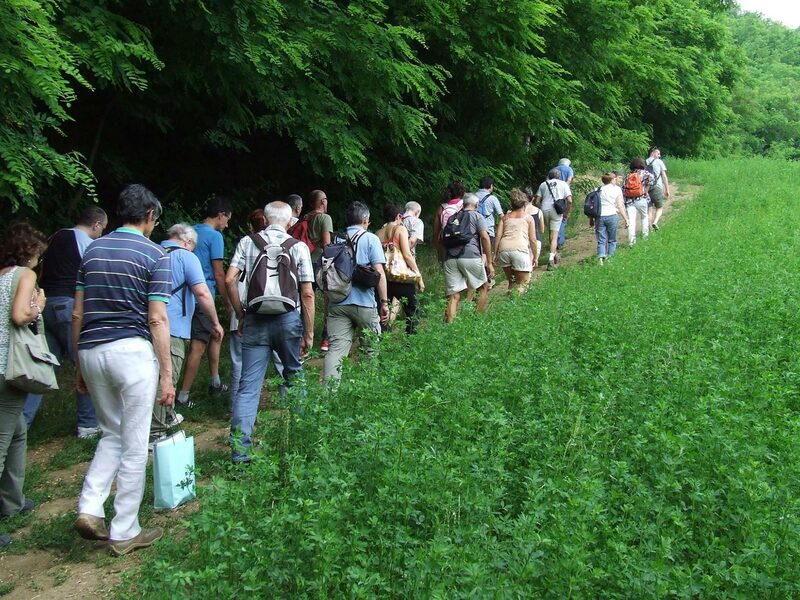 Historical-cultural itinerary in the ‪medieval‬ ‪fortress‬ of "Rocca Pendice" and "Calto della Contea" ‪watermills‬ with "Comitato Mura di Padova‬" and some teachers. 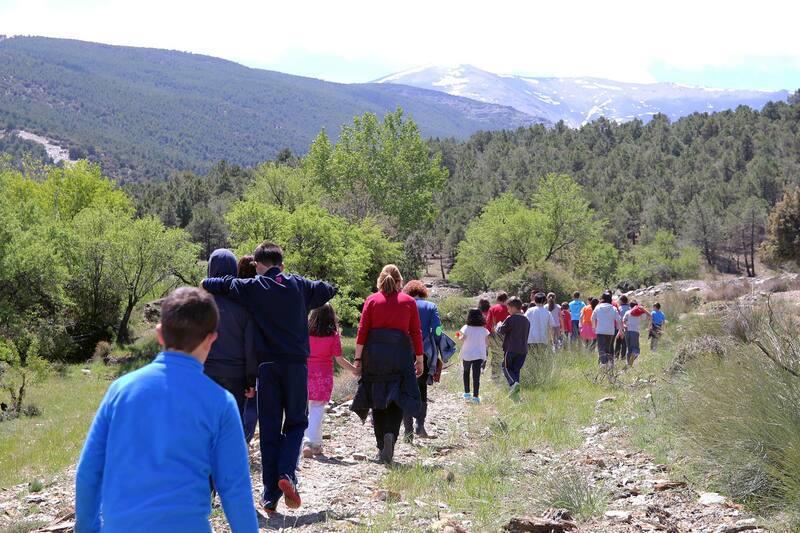 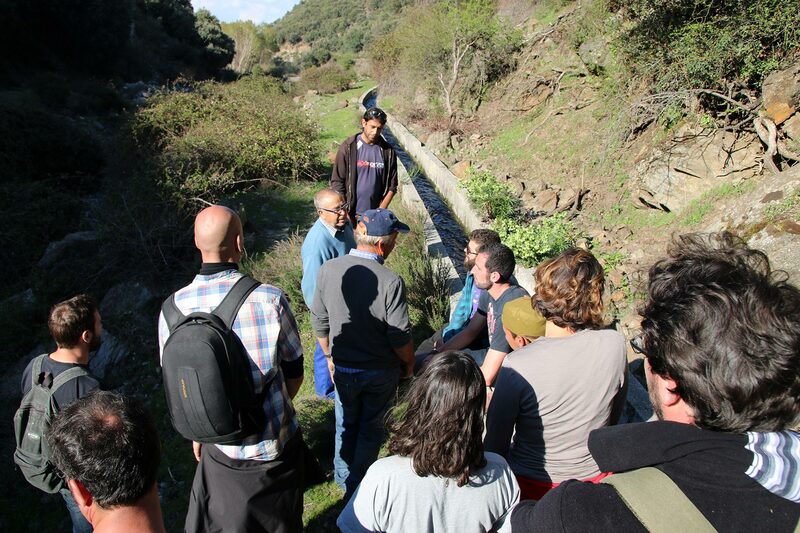 UGR organized a guided tour with the local irrigator community to the volunteers that took part in the recovery of the traditional irrigation channel in Lugros. 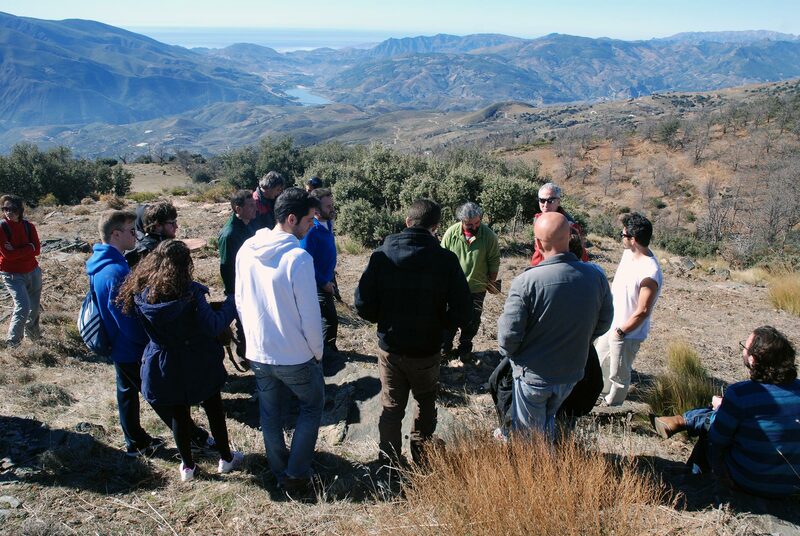 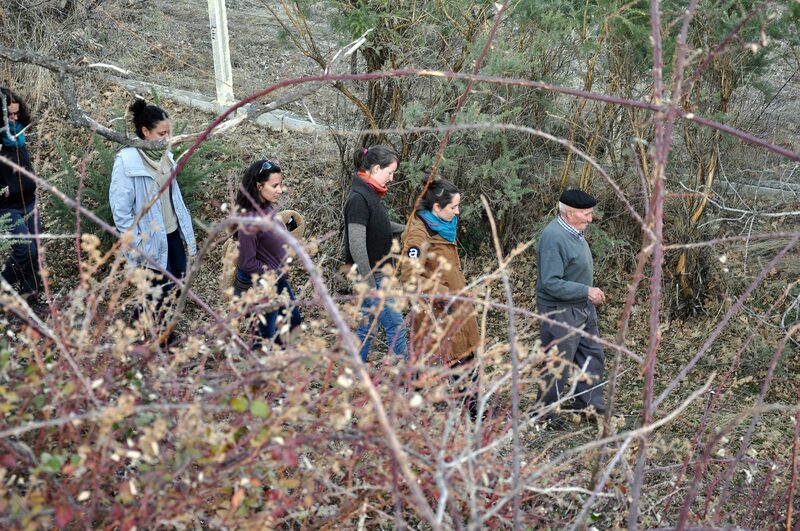 UGR organised a guided tour with the local irrigator community about the historical irrigation systems in high mountain (Lugros, Granada). 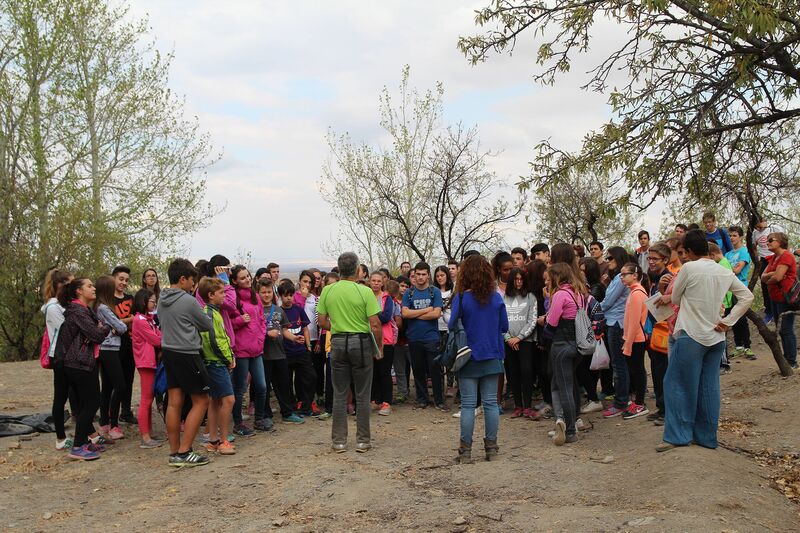 Students visiting archaeological excavation "Pago Del Jarafí"
Guied tour to the archaeological excavation of "Pago Del Jarafí" (Lanteira) for the students of IES Marquesado del Zenete High School.